The Steamy Hallows signage has arrived at 514 E. Sixth St. between Avenue A and Avenue B, site of the coming-soon Harry Potter-themed coffee shop. 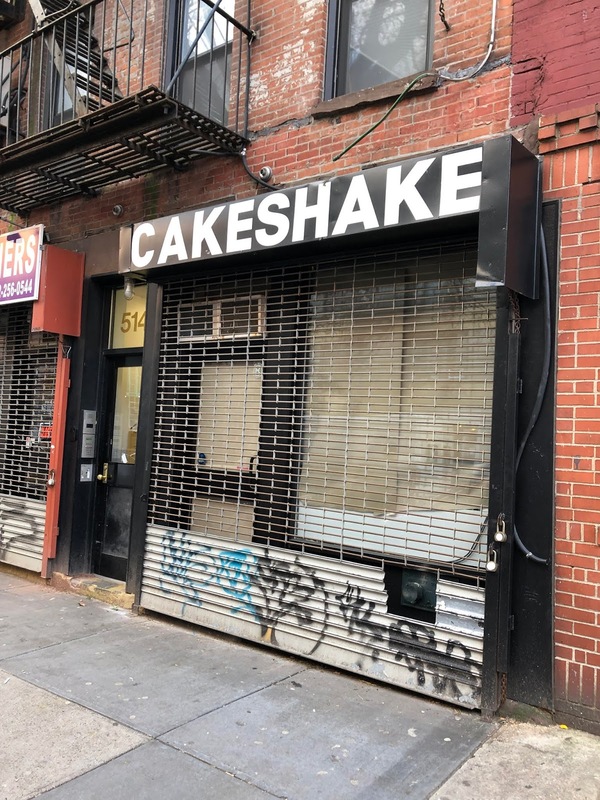 This is the latest venture from Zach Neil, the pop-up theme bar entrepreneur behind Beetle House on Sixth Street as well as the now-closed Will Ferrell bar Stay Classy on the LES and the short-lived 'Merica NYC on Sixth Street. Here's what to expect via the Steamy Hallows Instagram account: "This witchy goth coffee shop serves up delicious coffee and tea potions, huge homemade cookies, in an atmosphere inspired by Harry Potter & Halloween." When it opens around Valentine's Day (Feb. 14), Steamy Hallows will be decked out with oddities like shrunken heads, a 75-year-old stuffed owl, actual witch potions and an Irish cauldron from the 1700s that steams in the window all day, he said. "It's what you'd expect a wand store to look like if it was a real place ... The atmosphere inside will be pretty over-the-top from the way the coffee is crafted to the ingredients used to Instagram-worthy shots." Its coffee will be made by mixologists dressed in all black as if they were crafting a potion — muddling fresh herbs and extracts, coffee, dark chocolate, rose petals and other fresh ingredients. As we noted on Jan. 9, Steamy Hallows was taking the place of Cake Shake, the extreme milk-shake shop that debuted back in August. All the magic in Harry Potter’s little wand won’t make anyone with an ounce of self respect to set foot inside of those hollow doors. This guy never gives up. Please stop trying to re-make Disney land in the East Village, we can go to Times Square when we need something like this. The whole of the EV commercial space should be "Pop Up". My new business: Here today. Gone tomorrow is opening soon!